New regulations in track and field are raising questions. Starting in November, elite male and female athletes might start competing against each other on the world’s biggest sports stages thanks to new regulations from the International Association of Athletics Federations (IAAF), the governing body of track and field. The rules apply to female athletes with high testosterone: If their hormone levels exceed five nanomoles per liter (the average for women is between 0.12 and 1.79), they’ll have to lower them for at least six months and maintain those dampened levels for as long as they want to compete. If an athlete doesn’t want to go that route, she has a few flawed options, including competing against men and quitting her sport altogether. The new regulations would affect athletes like Caster Semenya, the 27-year-old South African runner who won gold in the 800-meter dash at the Rio 2016 Summer Olympics. They could be the result of a 2017 study (partly funded by the IAAF) that found women with high T performed a cut above their competitors in several track and field events, including the 400-meter dash, hurdles, and pole vault. In light of these game-changing rules, here’s what you need to know about testosterone supplements and their benefits and risks. Many contain dehydroepiandrosterone (DHEA), a hormone naturally produced by both men and women. “The body converts some DHEA into testosterone, and higher levels are thought to be linked to increased muscle mass and strength in both sexes,” explains Justin Mager, MD, a San Francisco-based exercise physiologist and a member of the Equinox Health Advisory Board. Non-DHEA supplements increase levels of the growth hormone via ingredients like zinc or magnesium. Low levels of these minerals can lead to low T, so increasing your intake can hike the hormone up again, explains Philip Deer, MS, manager of education at the Equinox Fitness Training Institute in Playa del Rey, California. The International Olympic Committee and other athletic organizations have banned elites from using DHEA products, but amateurs use them in an effort to push their bodies past their natural abilities. Does science back them up? In the 1990s, researchers found that when men received testosterone injections once a week for ten weeks, they had larger biceps and triceps and more strength. But the science is shaky and scarce, and today, experts aren’t sure about the hormone’s effects. In one study, the gel form failed to improve fitness in already active men. Research on women is even more slim. 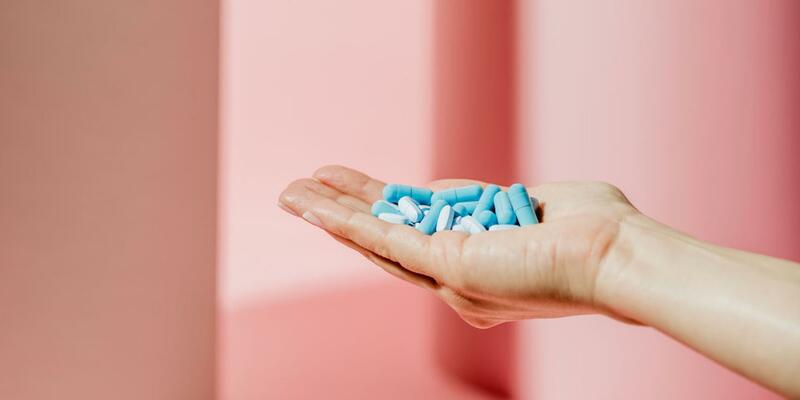 The Food and Drug Administration doesn’t regulate the strength, purity, or safety of DHEA supplements, so you never really know what you’re getting. Even worse: “Many brands have proprietary blends of ingredients, which exempts them from having to disclose how much of them are in the product,” Deer adds. Their freedom to keep everything under wraps makes it nearly impossible for people to know how much of what they’re putting in their bodes. By taking DHEA, you run the risk of getting too much testosterone, which can cause acne, unwanted hair growth, and for women, hair loss, irregular periods, and fertility problems. “Because the human body is so complex and you have so many interactions happening simultaneously, it’s hard to tease out cause and effect,” Mager says. Many athletes have medicine cabinets full of supplements, so there's no way to know whether a boost in performance is due to DHEA or something else.